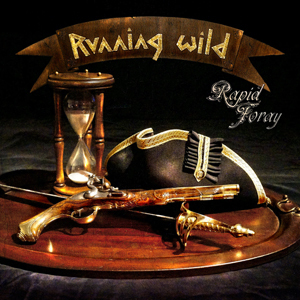 RUNNING WILD Streams New Track "Black Bart"
German Metal Legends RUNNING WILD have released a lyric video for the new song "Black Bart" today. The song is taken from the forthcoming album Rapid Foray. Rock N' Rolf: "Bartholomew Roberts, called "Black Bart" was not only one of the most flamboyant personalities in the history of piracy, but also the most successful one with more than 200 captured ships." Rapid Foray will be released worldwide on August 26th 2016 through SPV/Steamhammer!! "By The Blood In Your Heart"